The Bell bottle opener by Normann Copenhagen is a handy kitchen tool. The design by the designer Jiang Qian stands out by its slim shape made of stainless steel, as well as the combined function. Placed on the table at weddings, the Bell opener is not only useful to fill the guest's glasses but also to announce a speech. At Christmas, the bell can serve to bring together all family members for another round of drinks. The versatile design is elegant as well as minimalist and is a great gift for any occasion. 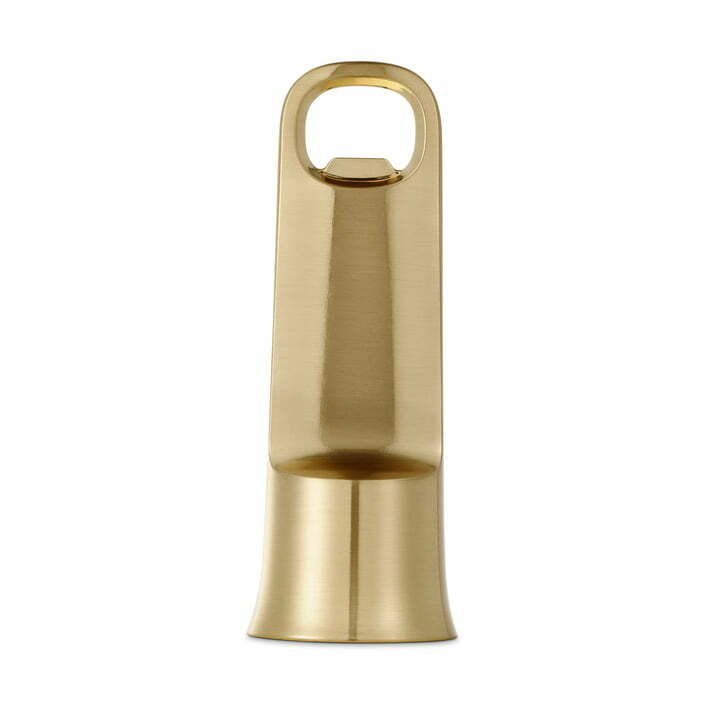 Isolated product image of the Bell bottle opener by Normann Copehagen in gold. The Bell bottle opener by Normann Copenhagen is a handy kitchen tool and bell in one. 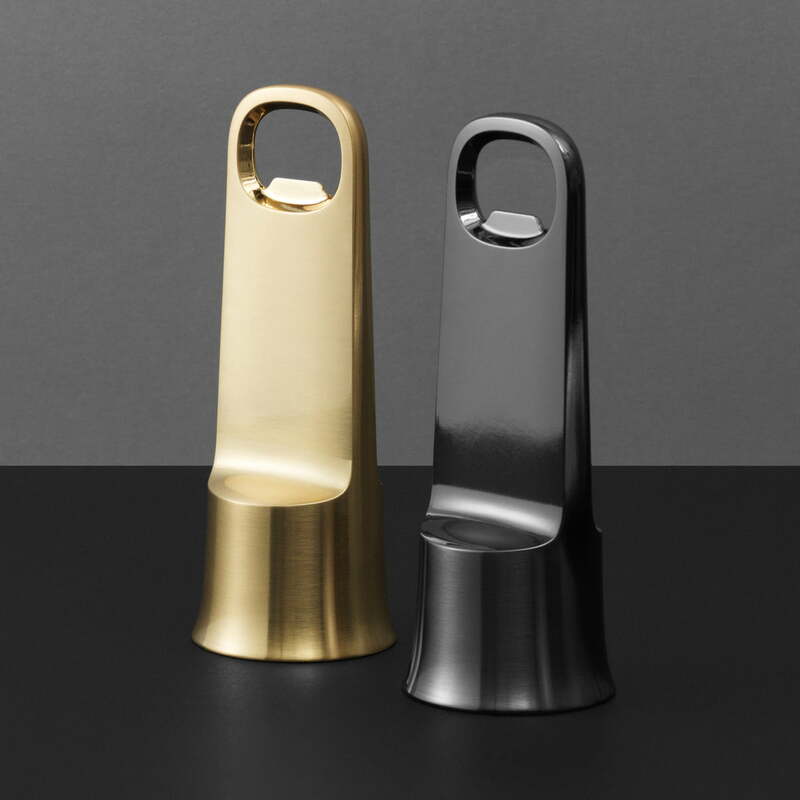 The Normann Copenhagen - Bell bottle opener in gold and black. The versatile design is elegant as well as minimalist and is a great gift for any occasion.